The following is the first in a series about food and housing insecurity by Leah Block, a senior majoring in interpersonal, organizational and rhetorical communication with a minor in sociology and a communications intern in the Office for Institutional Equity and Diversity. If you are currently lounging in Talley, strolling through the Brickyard or even sitting in class on your phone, take a moment to look around you. What if I told you that at least a handful of people beside you are struggling for access to healthy food? But we cannot feed the hungry on statistics. The fact that there are hungry students on NC State’s campus is concerning to the entire Wolfpack family. Here are some measures students who struggle with food insecurity can take to acquire relief, as well as the measures students can take to be a part of the solution. Food insecurity is a community-wide problem that must be addressed with both institutional and community-based solutions. 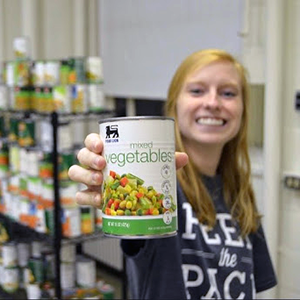 A year-round, campus-accessible resource is the Feed the Pack food pantry. Feed the Pack is a community-based initiative purposed around uplifting members of the NC State community who struggle with food insecurity. The pantry is supplied with healthy snacks and nourishing meals and is accessible at University Honors Commons at 2221 Dunn Avenue. Hours are Monday-Thursday from 2:00-6:00 p.m. and Fridays from 12:00-6:00 p.m. For students who are struggling with food insecurity, using relief options in the community carries absolutely no shame. Another resource for students struggling with food insecurity are the Pack Meal Share and Pack Meal Scholarship initiatives. For starters, Pack Meal Scholarship is a unique, student-to-student support program. 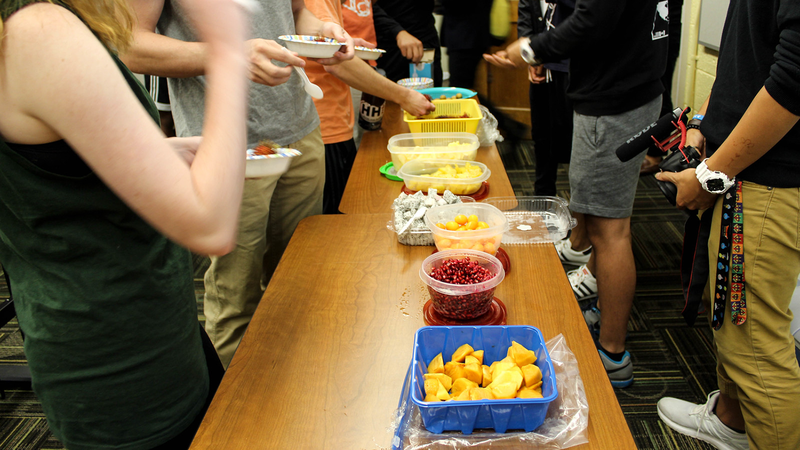 The initiative, which was spearheaded by Student Government, is sustained by students who donate their spare swipes. 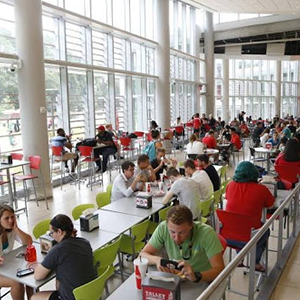 The pooled meal swipes can be added to a student ID, allowing for discreet and easy access to breakfast and lunch at Clark, Case and Fountain dining halls. If you find yourself with with extra meal swipes or dining dollars, the Pack Meal Share program is a clear avenue for you to contribute to food justice on campus. To donate, contact the Food and Housing Insecurity Initiative. Another practical student resource, housed under Pack Essentials, is the More in My Basket initiative. More in My Basket connects students to the Supplemental Nutrition Assistance Program (SNAP), an institutional and systemic solution for those facing hunger. The Supplemental Nutrition Assistance Program provides low-income students with monthly benefits that assist with access to fruits and vegetables, bread and grains and meats and dairy. All of these resources are readily available if you need them. Be sure to stick around for the second of this two-part series, which will go more in depth about the steps students can take to raise awareness of and be a part of the solution to food insecurity. Because at NC State, no student should go hungry. Did you know NC State has rolled out an updated database of food resources on the Pack Essentials website? Resources include the Women’s Center of Wake County, the Food Bank of Central and Eastern North Carolina, and the Inter-Faith Food Shuttle. There are multiple on-campus donation sites for healthy food, snacks and hygiene products. Donation sites include Clark Hall, 4th Floor (Office of Faculty Development), 304 Holliday Hall (Office of General Counsel), Talley 4111 (Leadership and Civic Engagement) and 225 University College Commons (Exploratory Studies and Academic Advising Services). See the map of all food donation sites on campus.